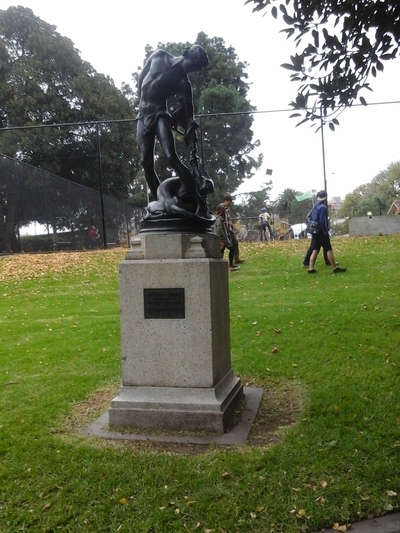 Flagstaff Gardens are the oldest gardens in Melbourne. Very close to the Queen Victoria Markets and the CBD, they were first established in 1862. 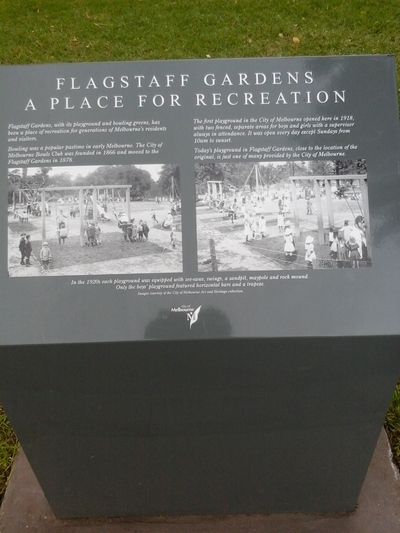 The beautiful park has facilities such as a playground, and tennis courts which also double as volleyball, handball and netball courts. They are also a great space for a walk, run or some yoga practise. There is a huge semi-spherical climbing frame, horizontal wooden ladder, balance slide and plastic swing, slides, high balance beam, curved rope ladders, tunnel, steps, and inclined walkway with stepping boards and fireman's poles. 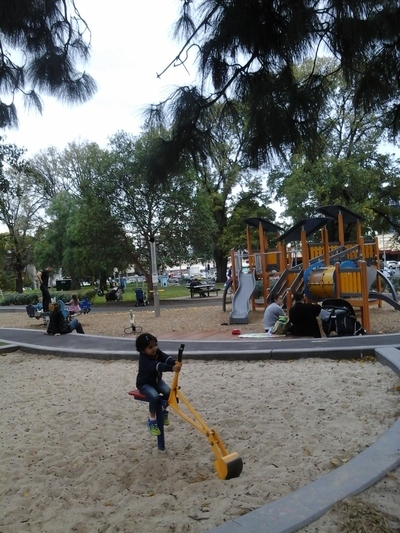 There is also a family sized see-saw, large sandpit with two diggers. My favourite part of the playground are the five swings. 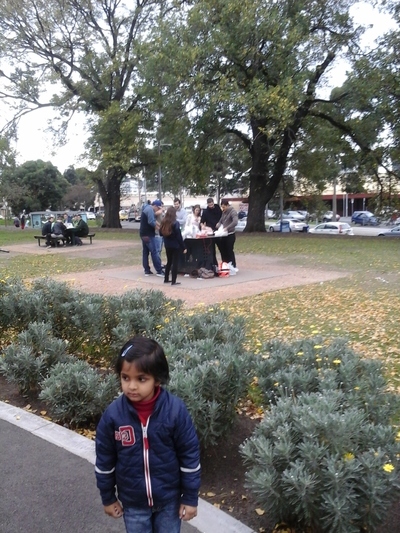 Flagstaff Gardens has a decent play area for kids. It's popular for weekday lunchtime sport between office workers. It's also the perfect place to enjoy a delicious picnic with your lover, friends or family. Train station, tram stops (route 55) and bus stops are all very close by.